Plant dyed yarn for winter knitting! Lots of dyeing done, lots more to go. The goods news is plenty of naturally dyed alpaca yarns on the way. 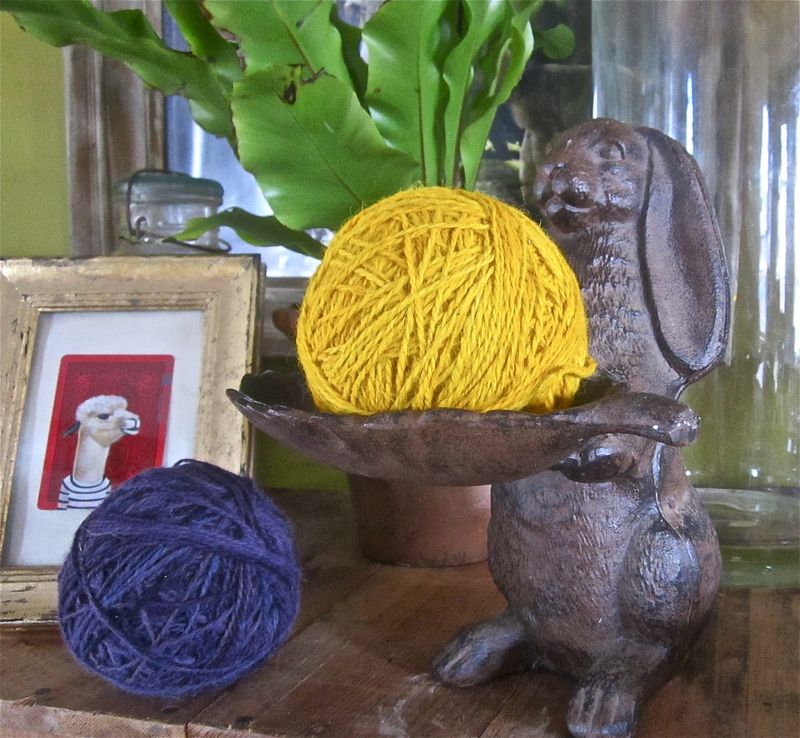 Here are some yarns dyed with our last of the season marigolds and responsibly harvested logwood. More fleeces being skirted for milling. We are sourcing alpaca and sheeps wool from other local farms to meet the demand. A fleece or two will be processed by hand, so there will be some handspun yarn available. Can’t process much by hand, it would be impossible to keep up! Thanks for all of your support! This entry was posted in Naturally Dyed Yarns and Products and tagged alpaca, Alpaca fiber, alpacas, Camelids, farm, fiber art, fiber arts, goldenrod, hand spun, knit, knit knitting, Maine, natrually dyed silk, natural dyes, plant dyes, spin, textiles, Textiles and Nonwovens, yarn. Bookmark the permalink. ← More yarn on the way!